"The Only Thing We Leave Hanging Are Your Blinds"
J.T.’s Discount Verticals the leader in FULL SERVICE window treatment & window covering sales & installations. Providing quality Plantation Shutters to residents of Staten Island, NY. Plantation Shutters and stylish manufacturers right from the comfort of your own home, apartment or office. See which styles and colors work best with the color, style and look and get professional advice, tips and experience on the best choices for your home, apartment or office. Premium service, selection and expertise you will not get from big box chains. Local Staten Island owned and operated with over 30 years experience. From your very 1st phone call to us, all the way to full installation and customer service you will deal directly with the owner of StatenIslandBlinds.com J.T.’s Discount Verticals. We stand behind every product and installation you get from us. An elegant alternative to blinds and draperies, plantation shutters are the window treatment of choice for discriminating homeowners. Plantation shutters are a type of window treatment consisting of wood or faux wood louvers mounted in a solid frame. The louvers are manipulated by a tilt rod hidden at the back or in the middle of the shutter. Our high quality plantation shutters are durable and built to deliver maximum energy savings. Their construction reflects intense heat out of the window during the summer and keeps warm air inside during the winter. This can lead to lower utility bills each month, leaving more money in your pocket. Plantation shutters are easy to maintain. A regular wipe down with a damp soft cloth is all that is needed to keep your plantation shutters clean and looking great. Plantation shutters also give homeowners control over privacy and air flow. Their classic design complements a variety of home interior, making them a favorite design element of interior designers and homeowners. 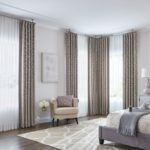 StatenIslandBlinds.com is a full shop at home company with a huge selection of quality window treatments & window coverings to residents of Staten Island NY. Our huge selection comes complete with FREE home shopping, FREE measurements and FREE installation. 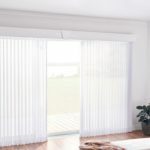 Serving Staten Island NY for more than 30 Years we have the selection, price and service to make you choice of plantation shutters, vertical blinds, horizontal blinds, shades, curtains & drapes one that will make your home stylish, comfortable & energy efficient at a price and convenience not offered by online catalogs or big box retailers. If you’re looking for the best in price, selection, installation and service on window treatments and window coverings in Staten Island NY we are the company you should call first.